The latest in a series of deals between sports leagues and gambling companies happened occurred Monday when daily fantasy sports company FanDuel joined forces with the NHL and New Jersey Devils for sports betting and fantasy sports play. The wall that professional sports leagues in the United States fought so hard to maintain between themselves and legal sports betting continues to crumble. The four major pro sports leagues fought New Jersey's efforts to legalize sports betting in a case that went all the way to the U.S. Supreme Court, and ended in May with all 50 states winning the right to offer sports betting. Now, the leagues are realizing sports betting can be a profitable partner instead of an existential threat. It's off to a fast start in New Jersey, with over $336 million US in bets placed here since it began in mid-June. The latest in a series of deals between sports leagues and gambling companies happened Monday morning when FanDuel, the daily fantasy sports company and recently minted bookmaker joined forces with the National Hockey League and its New Jersey Devils franchise for sports betting and fantasy sports play. The company has become a sports betting partner of the league, as well as its official daily fantasy sports partner. FanDuel will have access to the NHL's real-time, verified game data feed, in a deal similar to one the league recently reached with MGM Resorts International. 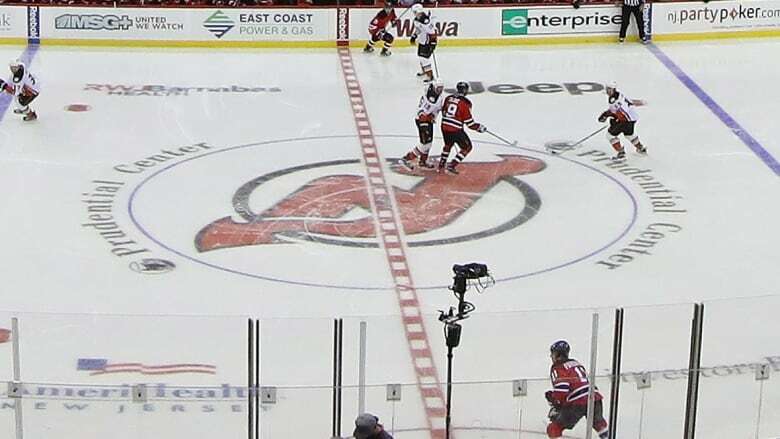 In its deal with the Devils, FanDuel will get exposure during all regular season home games via an in-ice logo. "We are continuing to be progressive in our approach to the sports betting landscape, working directly with the industry and focusing on innovative opportunities for fan engagement," said NHL commissioner Gary Bettman. "Joining forces with the National Hockey League was the perfect next step for us as both our sports betting and fantasy sports business continue to grow," said Matt King, CEO of FanDuel Group. "The league's clear vision for these categories and this partnership marks an exciting time for both organizations." FanDuel runs the sports book at the Meadowlands Racetrack in northern New Jersey, just outside New York City. The company that owns the Devils, the Newark, N.J., arena in which they play, the Prudential Center, and the National Basketball Association's Philadelphia 76ers recently struck deals with bookmaker William Hill and Caesars Entertainment for sports lounges at the New Jersey arena, as well as marketing and promotional benefits.